Shower head and chain good quality. 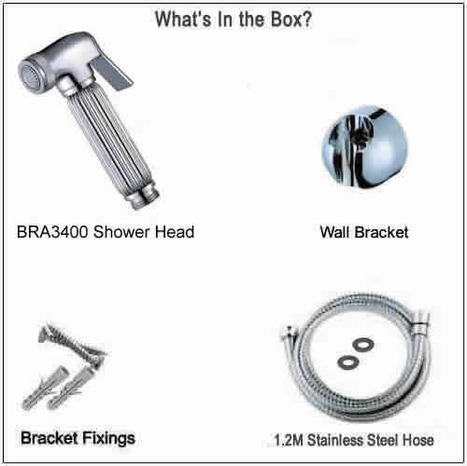 BRA3400: Chromed Bidet Shower with splined handle. Top of the range shattaf shower. The shattaf head is precision engineered from A grade solid brass with a mirror chromium plate finish. 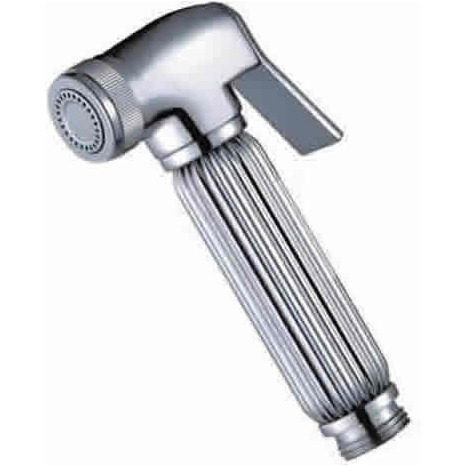 Shattaf shower head with water control trigger The Shattaf shower head is manufactured in high grade brass with a mirror chromium plate finish. 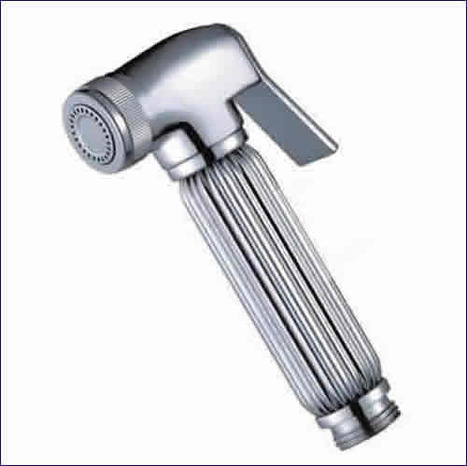 Weight of shower head, around 290 grams. 1.2M Double lock Stainless Steel hose. 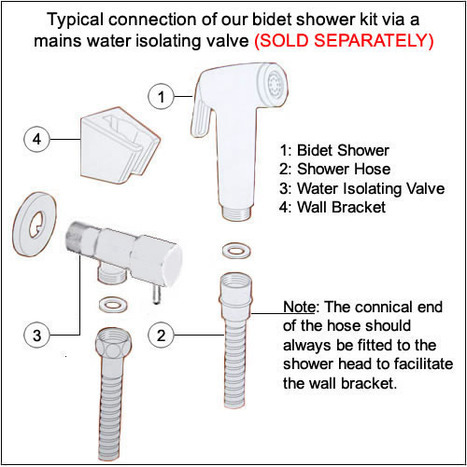 Our hoses are specifically designed for use with our Bidet Sprayers. The flexible, 1.2m ( 40") length is designed to withstand more than twice your normal domestic water pressure.